Thirty-four people have been arrested this week in 12 Spanish cities in connection with an investigation into match fixing, predominantly in Challenger and Futures events in Spain and Portugal. The arrests are said to include current players, but none ranked above 800 in the world rankings. The investigation highlights the benefits of effective co-operation between investigative bodies. The Tennis Integrity Unit is said to have received a tip-off from a player approached with a bribe. The investigation passed to the Spanish police and arrests followed. It remains to be seen whether they will lead to successful prosecution. But the investigation is also evidence of failure to prevent a widespread betting ring. The betting industry is at the forefront of combating market manipulation and co-operation with regulators and other stakeholders is vital. Analysis of betting patterns will have been carried out as part of this investigation and it is not yet clear whether irregularities had been identified prior to the tip-off. In this instance, the bets were kept deliberately small (average profit per match of Eur 5,000) and made in lower-tier tennis. Spot-betting was engaged - so that just one game need be thrown and not the whole match. These are relatively unsophisticated techniques intended to to avoid detection. But information on the tainted matches was said to be disseminated rapidly through social media and instant messaging systems. Anti-corruption strategies need to develop in sensitivity and sophistication to combat the impact of improved technology and instant global communications - which make low value spot-betting a scaleable model for crime. Sport and the betting industry need to continue working together - to harvest and share data in a way which is practical and effective for all stakeholders. And improvements in market monitoring must be supported by improvements within sport. Lower-tier tennis, for example, has a number of the hallmarks that could leave the game vulnerable to corruption. Financial pressure on players and a need for supplemental sources of income; a lack of awareness and education about the dangers of match fixing; potentially unsophisticated or ineffective support structures for players; the risk of isolation from family and friends as players travel to compete. These types of factor can make athletes particularly vulnerable to approaches or threats. The ATP's Integrity Review Panel is due to report and make recommendations in relation to match-fixing early next year. The ATP has pledged to implement its recommendations. If convictions also follow these arrests, tennis will have taken several big steps forward in combating corruption. Operation Futures began in February 2015 with a tip-off from a player who had been offered a bribe. 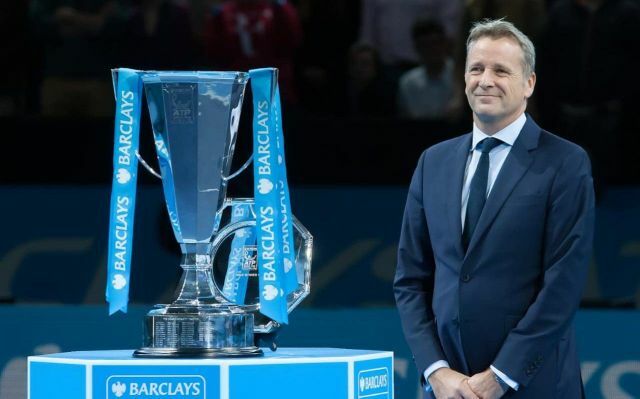 He informed the Tennis Integrity Unit – which has been reinforced this year after numerous allegations emerged about rampant corruption at the lower levels of the game – and the Spanish police then took over the investigation.